Q. Have you ever reviewed Bluetooth hands-free car kits? With more states requiring hands-free phone use, I am looking to purchase a Bluetooth car kit where the callers not only sound great but also can hear me just as well. A.Yes, I have evaluated Bluetooth car adapters. I have an older car without Bluetooth that I drive in the winter, and my search for a good hands-free adapter led me to discover one that is a real winner. It can be purchased for under $20 and not only is it great for phone calls, it is great for entertainment and charging as well. 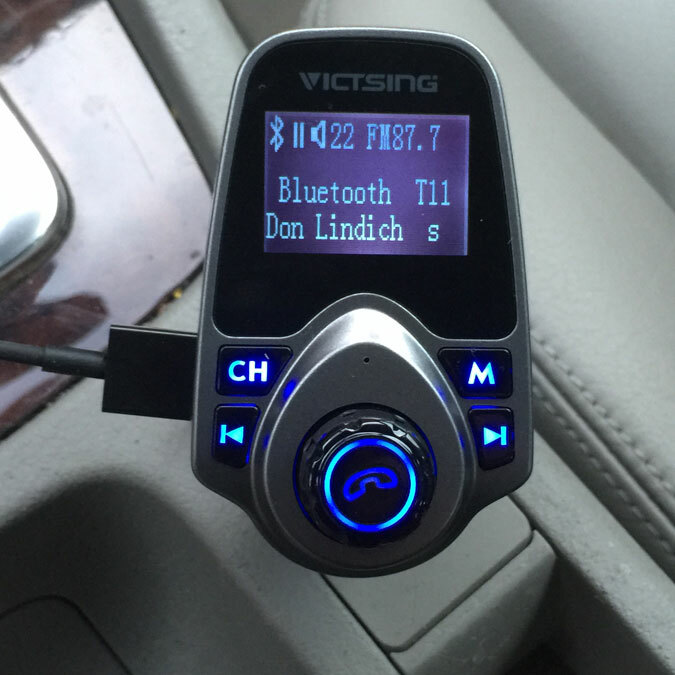 The VicTsing Bluetooth FM adapter with 1.44” display sells on Amazon for only $16.99. When you pair it to your phone it comes up as “T11” so I will refer to it as the T11 in this column. The T11 plugs into the lighter socket and when you start the car it shows the voltage in the electrical system, allowing you to monitor the health of your car’s electrical system. You set an FM frequency to transmit, then you turn the car’s FM radio to match. It pairs to the phone easily and whenever you get a phone call it will send the sound through the car’s speakers, just like the car was built with Bluetooth to begin with. Many FM adapters have poor sound quality, but not this one. The output is clean and strong, and people I have conversed with say the clarity from the microphone is exceptional. It doesn’t stop there. Not only can you use the T1 for phone calls, it can stream music from your phone as well. The T11 has two USB ports, one for fast charging at 2.1A and one for playing back media from a USB Flash Drive. There is also a TF Card (MicroSD) slot so you can load your music or audiobooks on a memory card and play them directly from the T11. If your car does not have Bluetooth you owe it to yourself to give the T11 a try. It makes calling more pleasant and it may even keep you out of an accident because you will have both hands on the wheel. See the VicTsing Bluetooth FM adapter with 1.44” display on amazon.com. More appliance coverage: Next week we will hear from readers who are happy with their front-load washers, and go over additional Bosch dishwasher drying tips. Audio-Technica ATH-ANC700BT Bluetooth Noise-Cancelling headphones: I am often asked for recommendations for wireless, noise-cancelling headphones that “have good sound like the $300 Bose headphones, but are not so expensive.” For a long time I had to tell people about wired noise-cancelling headphones that sounded better for less money, but that Bose had the premium, wireless, noise-cancelling category all to themselves. Not anymore! 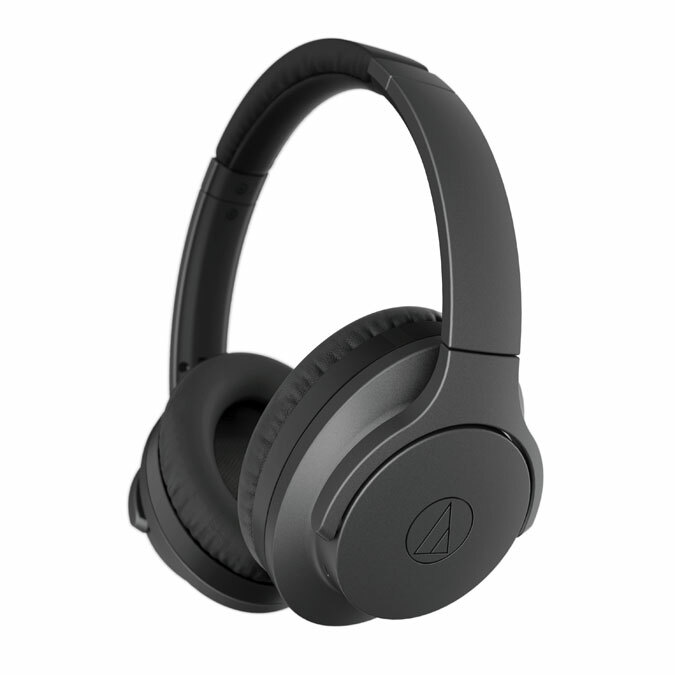 At the 2018 Consumer Electronics Show I received a demonstration of the new Audio-Technica ATH-ANC700BT Bluetooth Noise-Cancelling headphones. Participants were put in a front-facing massage chair, told to close our eyes and they put on the headphones. A demonstration loop played over the headphones as we were given a back, neck and shoulders massage by a professional masseuse. The sound quality was impeccable and I could hardly hear anything other than the music that was playing. When they took off the headphones and I heard all the hubbub from the show floor it was rather jarring, and it not only made me appreciate the fine sound quality of the headphones but also the extremely effective noise cancellation. The ATH-ANC700BT headphones are a bargain at $199.